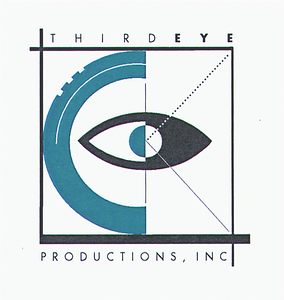 Third Eye Productions, Inc. provides Photography & Video Production Services in the Philadelphia and the the Tri-State Area. We have creative professionals ready to handle your assignments and create the images that can tell your story. Third Eye Production's specialize's in Corporate and Public Relations and we know how to interact with your corporate business collages in the business environment. Third Eye Productions, Inc. offers the highest quality Photography and Video Productions Services on the market today. We use only the latest state of the art equipment and we can deliver your images instantly for uploading to your web server or to a news bureau. Since 1988, we have provided superior service to our customers and have assisted them in achieving their goals. Our 20 years of experience and commitment to excellence have earned us the reputation as one of the best Photography & Video Production services in the Tri-State area. Executive Portraits, Green Screen Video Production Services, HD Video Production, Drone Aerial Video & Photography Services, 4K Video Production, Web Content Photography, Video Editing services, DSLR Film Style Production, Video Press Releases, Head shots, Group Photos, Public Relations, Journalistic style photography, Conventions, Medical Photography, Seminars, Meetings, Corporate Annual Reports, Editorial, Award Ceremonies, Ground Breaking's, Press Release, Golf Events, Advertising, Brochures, Holiday Events, Check Presentations, Ribbon Cuttings, Trade Shows, Architectural, Construction, Interior Design. ...And On-Site Digital Printing is Available for any Event!!!! Good digital photography is very important when it comes to the image of your business. Whether it is a company brochure, sales materials, staff head shots, or images that are going on your website, you want the very best & high quality photography and video images at a competitive price.